Johnson JT, Myers EN, Thearle PB, Sigler BA, Schramm VL Jr: Antimicrobial prophylaxis for contaminated head and neck surgery. 1984. Laryngoscope 2015 Feb; 125(2):275-80. Doi: 10.1002/lary.25166. Epub 2015 Jan 19. PMID: 25600123. Whiteside TL, Ferris RL, Szczepanski M, Tublin M, Kiss J, Johnson R, Johnson JT: Dendritic cell-based autologous tumor vaccines for head and neck squamous cell carcinoma. Head Neck 2015 Mar 3. doi: 10.1002/hed.24025 [Epub ahead of print] PMID: 25735641. Van Allen EM, Lui VWY, Egloff EM, Goetz EM, Hua L, Johnson JT, Duvvuri U, Bauman JE, Stransky N, Zen Y, Gilbert BR, Pendleton KP, Wang L, Chiosea S, Sougnez C, Wagle N, Zhang F, Du Y, Close D, Johnston PA, McKenna A, Carter SL, Golub TR, Getz G, Mills GB, Garraway LA, Grandis JR: Genomic correlate of exceptional erlotinib response in head and neck squamous cell carcinoma. JAMA Oncol March 5, 2015, doi: 10.1001/jamaoncol.2015.34. PMID 26181029 PMID: 26181029. Huyett P, Johnson JT: Extranodal lymphoma of the posterior auricle. Am J Otolaryngol 2015 Apr 8. pii: S0196-0709(15)00071-X. doi: 10.1016/j.amjoto.2015.03.005. [Epub ahead of print] PMID: 25913779. Hathaway B, Baumann B, Byers S, Wasserman-Wincko T, Badhwar V, Johnson JT: Handgrip strength and dysphagia assessment following cardiac surgery. Laryngoscope. June 24, 2015. [epub ahead of print]. PMID: 26108961. Maxwell JH, Thompson LD, Brandwein-Gensler MS, Weiss BG, Canis M, Purgina B, Prabhu AV, Lai C, Shuai Y, Carroll WR, Morlandt A, Duvvuri U, Kim S, Johnson JT, Ferris RL, Seethala R, Chiosea SI: Early oral tongue squamous cell carcinoma: Sampling of margins from tumor bed and worse local control. JAMA Otolaryngol Head Neck Surg 2015 Jul 30:1-8. Doi: 10.1001/jamaoto.2015.1315. [Epub ahead of print] PMID: 26225798. Damian D, Esquenazi J, Duvvuri U, Johnson JT, Sakai T: Incidence, outcome, and risk factors for postoperative pulmonary complications in head and neck cancer surgery patients with free flap reconstructions. Accepted for publication, J Clin Anesthesia Aug 13, 2015. Johnson JT, Schenker Y, Arnold RM, Bauman JE, Heron DE: An enhanced role for palliative care in the multidisciplinary approach to high-risk head and neck cancer. Accepted for publication Cancer September 14, 2015. Rowan NR, Johnson JT, Fratangelo CE, Smith BK, Kemerer PA, Ferris RL: Utility of a perioperative nutritional intervention on postoperative outcomes in high-risk head & neck cancer patients. Oral Oncology. 2016 Jan 21. doi:10.1016/j.oraloncology.2016.01.006. [Epub ahead of print]. View Dr. Johnson's most current publications. Jonas Johnson, MD has committed to the care of patients with head and neck tumors in an environment of education and research. A research registry, established in 1980, has served as a basis for continued focused practiced- based learning. 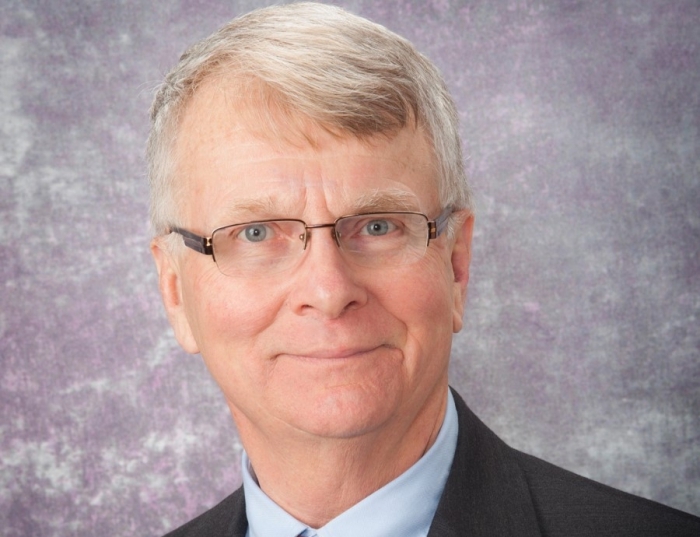 Dr. Johnson also serves as part of the UPMC Perioperative and Surgical Services Team committed to continued quality improvement and affordability.